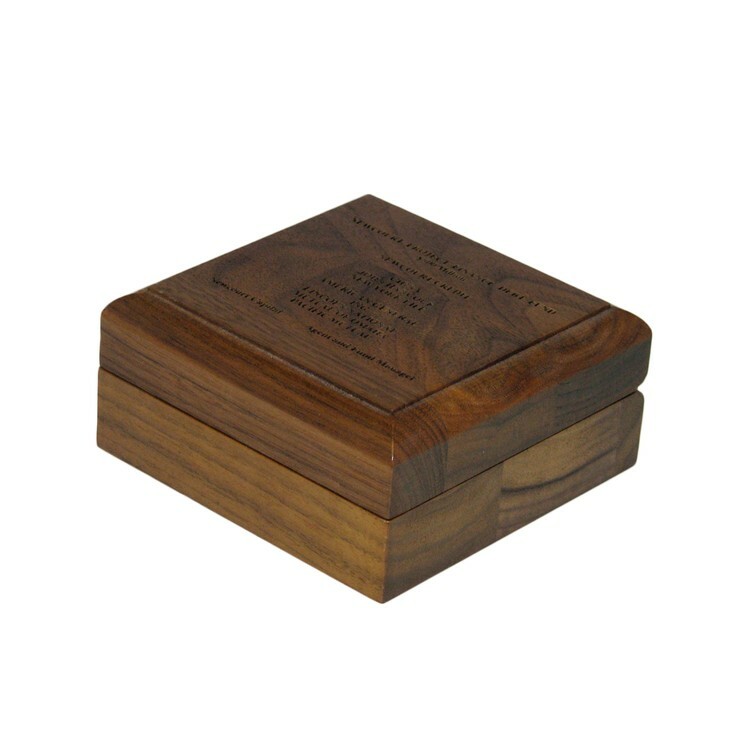 Store and display your most valuable items in this solid USA hardwood box and impress anyone with a taste for high quality. Choose from a number of wood finishes and flocked inserts which are included in the price, or upgrade to a padded velvet foam which will add even more pop to your valued item. Price includes a one position laser engraving, or 4C digital print, and a flocked insert. Ad Copy: 3 sq. inches included.